…because the leftist group is now announcing they’re going to make a statement this afternoon about ExxonMobil in advance of the Baton Rouge Metro Council meeting which will already be a powderkeg amid the resignation of East Baton Rouge Parish Attorney Lee Ann Batson (who quit her job in advance of being run off by mayor-president Sharon Weston Broome and the five black Democrats on the Council for reasons which appear to center around the fact Batson is white). This morning, though, the group—a frequent ITEP critic—said it will hold a press conference this afternoon to address Exxon’s withdrawn requests as well recognize the company’s importance to the city. “Together Baton Rouge will recognize the vital role ExxonMobil plays in the economy and community of Baton Rouge and propose a path for industry, business and civic leaders to work together to strengthen economic development in our community in the future,” the group says in a release. Exxon, in announcing its decision to withdraw the requests, called into question future growth opportunities in Baton Rouge, citing the “local uncertainty” surrounding the Industrial Tax Exemption Program. The school board recently rejected Exxon’s two pending ITEP requests, and the Metro Council was scheduled to vote on them today. The requests did not meet local standards, TBR says, in which exemptions for already-completed work do not qualify. “The vital role” is the kind of talk you get when a left-wing agitation outfit starts to realize they’ve gone too far and public sentiment is beginning to turn against them. You can bet Together Baton Rouge is going to offer some “compromise” which is going to consist of friendly extortion – so long as ExxonMobil is willing to play ball with them on some item or another they’ll be pushing, they’ll offer not to stand in the way of future ITEP applications. As though ExxonMobil owes anything to Together Baton Rouge or the people they purport to represent. Meanwhile, noted local economist Loren Scott penned a letter which absolutely scalded Together Baton Rouge for their attacks on ExxonMobil, and deployed the most deadly weapons possible: the facts. My latest report on the economic impact of ExxonMobil’s four facilities indicates the company employs 6,915 employees and contract workers at an average wage of $74,158 a year — 51 percent above the average wage in East Baton Rouge Parish. For the last 10 years, the company has invested in excess of $250 million a year in capital spending at these plants. Taking into account the multiplier effect, every 10th job in the parish can be traced back to these four plants. Yet, Together Baton Rouge says ExxonMobil is not doing enough. In 2017, ExxonMobil paid East Baton Rouge Parish $32.7 million in property taxes, two and a half times more than the 2nd ranked payer, Entergy. No other company in the state writes out a check that large to a parish government. In second place is Entergy, paying St. Charles Parish a much lower $20.1 million. But TBR says ExxonMobil is not doing enough. Adding in direct and indirect sales taxes generated through the multiplier effect, ExxonMobil produced $88.5 million for our local government — enough money to pay the salaries of 58 percent of the public school teachers in the parish. As a result, depending on what ranking you use, our schoolteacher pay ranks between 11th and 16th in the state. But TBR says ExxonMobil is not doing enough. In 2017, ExxonMobil and its employees contributed $1.4 million to our United Way, about 14 percent of UW’s total collections and the largest from any entity in the region. The ExxonMobil Foundation contributed $1.1 million to LSU and Southern universities last year, and the company and its employees and retirees contributed $4 million to Baton Rouge area nonprofits and schools. But TBR says ExxonMobil is not doing enough. TBR points out that ExxonMobil’s Joliet Refinery in Illinois receives no property tax breaks. The Joliet Refinery is half the size of Baton Rouge’s. Would TBR like to take all the numbers in the previous four paragraphs and cut them in half? TBR says the company’s refineries in Texas pay more in property taxes. The refineries in Texas did not have to write out a check for $17.5 million in corporate income taxes like ExxonMobil did in Louisiana in 2016. In addition to no income tax, Texas has a unified sales tax collection, does not tax manufacturing utilities, does not tax manufacturing equipment, does not tax manufacturing inputs, has significantly lower local sales tax rates, and has a much higher ranking in education, roads and legal environment. But the “economists” with TBR say we do not need the industrial tax exemption to compete with Texas. The Baton Rouge debate pushed by TBR can create a precedent for every parish with industrial facilities. If TBR prevails, prepare for the poor in our community becoming much worse off. It’s going to be interesting to see if the ExxonMobil-ITEP controversy begins to peter out after Together Baton Rouge sounds its conciliatory note this afternoon, or if it rages on. 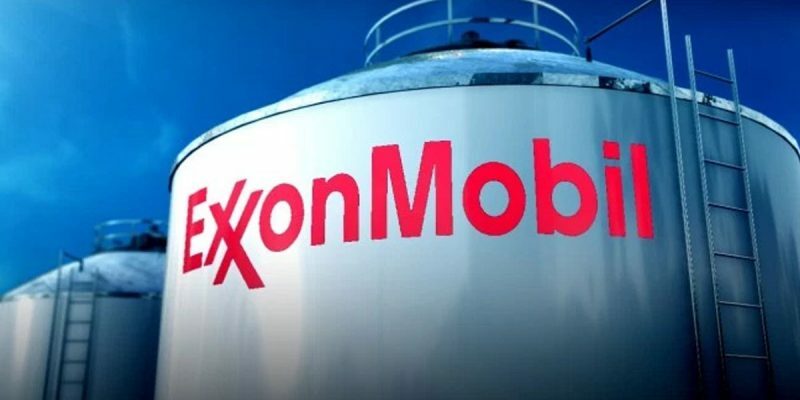 Based on what we see it appears ExxonMobil has the public relations upper hand, but we don’t know if they’re willing to press that advantage. Typically they aren’t aggressive with respect to items political – but as the old saying goes, you may not be interested in politics, but politics is interested in you. And politics is definitely interested in ExxonMobil. We’ve seen that in unmistakable fashion in the last few weeks.